The 2019 Winter Greens Short Course is full. Please look again next year. Did you know it is possible to maintain green, nutritious, delicious vegetable production throughout the cold, northern winters of Vermont? With the use of simple greenhouse technology, greens can survive and be harvested all year long by only accessing and storing the heat from the sun. Come learn how to use Passive Solar Greenhouses to grow cold hearty greens 365 days per year – add income to your existing farm, begin your dream of farming for a living by starting in the winter, or simply learn what it takes to grow enough greens for your own household all winter long. In our three-day long short course, we will explore everything from site selection, brands of these high tunnels/hoophouses, the four key principles to grow/maintain crops 365 days per year, the economics behind winter greens production, soil fertility management, and much more. We will use the 10,000 sq. ft. of winter growing space at Bread & Butter Farm as our hands on classroom. We will also visit other local farms who are extending their seasons to include winter greens. This three-day workshop will be practical, hands on, include actual numbers and yields, production plans, and so much more. A limited number of $250 scholarships will be available to students on a financial needs and merit basis through Continuing and Distance Education. The deadline to apply for the scholarships is December 1, 2018. If you have any questions or for the scholarship application, please email sra.desantis@uvm.edu. Corie Pierce is a farmer and educator. 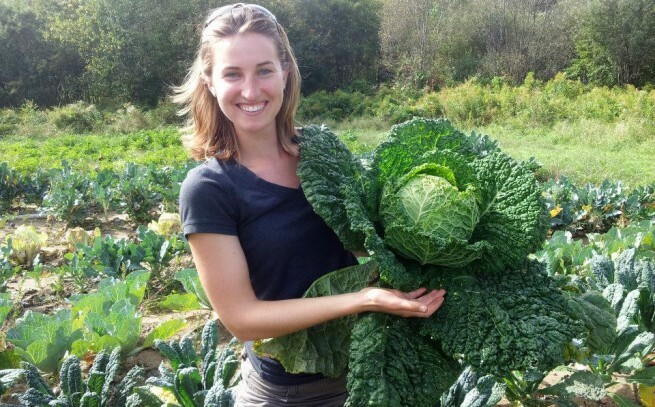 She is co-owner and operator of Bread & Butter Farm in South Burlington/ Shelburne, Vermont, a diversified farm where among many things, they specialize in growing greens all winter long in unheated, passive solar greenhouses. 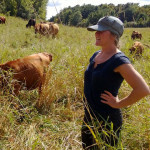 Corie has been growing winter crops since she worked at Michigan State University where she developed and launched the Organic Farming Certificate Program where they grew winter greens in 20,000 sq. ft. of passive solar hoophouse space. Julia Cosgrove thought she would become a research scientist after college. But her career plans changed after joining the UVM Farmer Training Program.